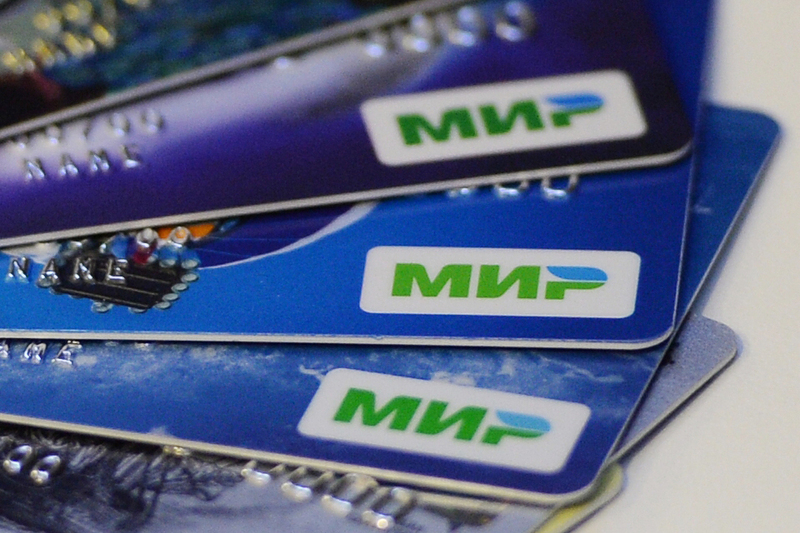 The introduction of the first cards of Russia's Mir national payment system. Turkey will create the infrastructure to service Russia’s Mir bank cards on its territory, President Vladimir Putin said on March 10. "An increase in share of national currencies in mutual settlements would facilitate the intensification of bilateral economic relations. We know that Mr. President is fully supporting this," the Russian leader said at a meeting of Russia-Turkey high level cooperation council. "Creation of the infrastructure for servicing bank cards of Russia’s Mir payment system will become a specific step in this direction, which we discussed today in a narrow format," Putin said. Putin also marked good opportunities for the development of humanitarian cooperation between the countries. According to him, holding Russia-Turkey cross-cultural year has been scheduled for 2019. In 2016, the need for a national payment system emerged after the international system Visa and Mastercard cards stop providing services to several Russian banks that came under Western sanctions. The Russian parliament adopted the law on the National System of Payment Cards (NSPC), which obliges the international payment systems to move their processing to the Russian territory. NSPC was created as the operator of the Mir payment system. NSPC has been operating in Russia since April 2015. Russia’s Central Bank holds 100 percent of NSPC.